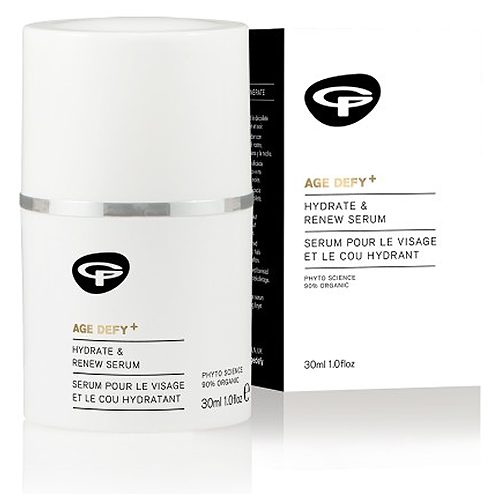 Green People Age Defy+ Hydrate and Renew Serum may help to re-awaken and smooth your complexion with a unique blend of rejuvenating and balancing botanicals. This product contains an organic aroma infused with Mandarin, Rosalina, Rose Geranium, Lavender and Palmarosa. Intense skin hydration Increases firmness and elasticity. Boosts skin metabolism and increase skin regeneration. 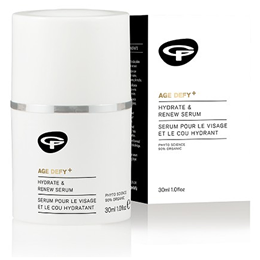 Below are reviews of Green People Age Defy+ - Hydrate & Renew Serum - 30ml by bodykind customers. If you have tried this product we'd love to hear what you think so please leave a review. Easy absorbed texture which feels lovely on the skin. Wait until absorbed before applying any other lotion though. I've noticed such a difference in my skin texture since using this product. A little goes a long way so sometimes a full pump dosage is too much. Skin feels softer and brighter. Very impressed with this product. Green People Age Defy+ Hydrate and Renew Serum may help to re-awaken and smooth your complexion with a unique blend of rejuvenating and balancing botanicals.